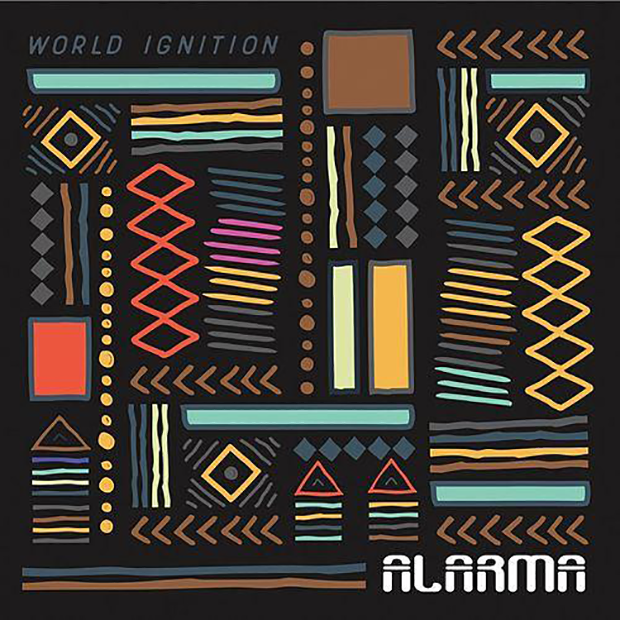 Alarma’s World Ignition is a medley of international flavors—from Latin, Middle Eastern to African—this is world music in the spotlight in these eight wonderful tracks that make up Ignition. Everywhere you turn you are getting a dose of musical genres mixed together in ways not heard before; from ska to calypso you will be taken to new worlds. This album welcomes you into each world warmly, such as on the track “Wanna Go Home” that is the album’s most powerful, inspirational track. “Turn the Knob” will leave you in a festive mood, while “Negra Tomasa” is a bit mellower but still has a cool vibe. Rounding out the album, “Cumbia Step” leaves off the way the album began with plenty of good spirits all the way until the track fades. You’ll want to put this album on when you’re feeling your best or your worst when you need a musical pick me up. If positive, uplifting music is what you’re in the mood, World Ignition is the album to reach for over and over again. Alarma is a world music indie rock band, blending Cumbia, Reggae, Ska, African, Middle Eastern, and Flamenco music. Danceable, melodic and socially conscious, the group was formed in Lincoln Heights, California. Alarma has been interviewed on LA’s KPFK 90.7 FM and has been played on a number of internet radio stations across the country. They have played the Gorilla Music Battle of the Bands finals this past August and the Lummis Day Festival in LA, along with colleges and universities. With a self-titled EP, a live performance on Fox 11’s Good Day LA, and their self-released full-length album Ripe Conditions, this LA band is taking their sound and message out to the world without the support of a label.